That puts it ahead of AT&T's DirecTV Now, which has some 1.2 million customers, and Sony's PlayStation Vue, which is estimated to have 670,000 people, according to TechCrunch. Hulu has about 450,000 live TV customers, while Google's YouTube TV has somewhere north of 300,000. Sling has enjoyed several advantages. It was one of the first major internet TV services to launch, and also one of the first to offer ESPN to sports addicts. It remains one of the cheaper options on the market —plans start at $20 per month, and can be customized with add-on packages for channels like HBO. 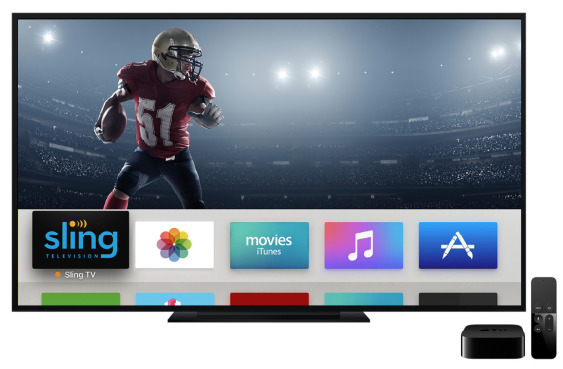 Apple device owners can watch Sling TV on the Web, or on a dedicated app for iPhones, iPads, and the Apple TV. Some other supported platforms include Android, Roku, Chromecast, Xbox One, and smart TVs. Apple was at one point rumored to have wanted to become a TV provider itself, but encountered too much negotiation resistance to its idea of a low-cost "skinny" channel bundle. It's now moving ahead with its own show slate, premiering in 2019.